Ever since cryptocurrencies hit the mainstream, it has become harder and harder to find a reliable source of information that you can trust. The crypto community has become so large that promotions are hard to avoid, and everyone is looking to hold an ICO for their project. This means that finding relevant information, and cutting through the masses of spam is easier said than done. Luckily, we’re here to help. We have provided a list of authoritative, informative websites that can help you cut the spam and stay in the know. Bitcoin.com is the leader in terms of the number of visitors that land on the site each day; although, this could be due to the domain name more than anything else. The site is run by Roger Ver, one of the main leaders behind BCH (Bitcoin Cash) and so you can expect a certain bias to come across in the site’s news reporting. If this doesn’t worry you, though, it’s a good place to stay up to date with breaking crypto news throughout the day. When investing in cryptocurrencies, it’s vital that you stay on top of the market movements; this is where Coins.live comes in. 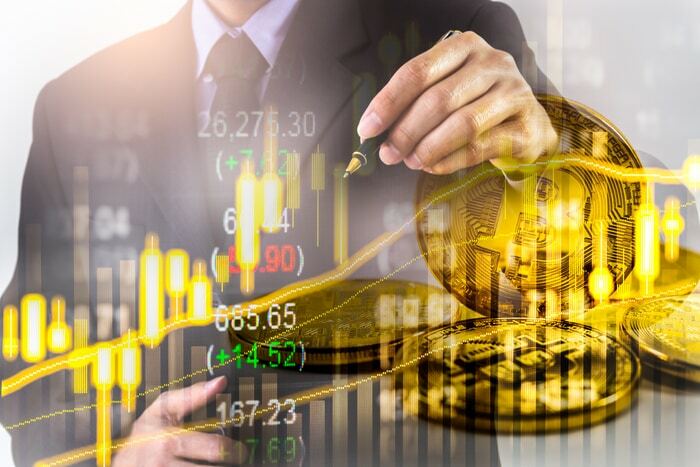 The site shows real-time cryptocurrency prices that you can rely on, enabling you to make informed judgments about when to invest and when to hold off. This tracker uses the prices from the largest exchanges and it’s easy to filter and sort the coins based on your needs. Coins.live also has a great selection of informative content and the latest crypto news, so it’s definitely a site worth bookmarking. If something newsworthy is happening in the cryptocurrency space, it’s likely that you’ll be able to hear about it on Reddit. The largest community on the site can be found in the subreddit r/cryptocurrency, but there are lots of smaller subs as well for specific tokens like Bitcoin and Ripple. Each subreddit does, however, differ in how well it is moderated, so it’s wise to pay caution to the news you find on the subs, as well as the rules for each community. r/cryptocurrency is heavily moderated, though, so this is a good place to get started. If you’re just getting started with cryptocurrency, the amount of information available online can seem a bit overwhelming. This is where CryptoMarket360 can help. The site is relatively small and boutique in nature, but it does a great job of showcasing the latest news stories in an easy to digest format. There is a paid section of the site that you can sign up for if you want more in-depth content; however, for beginners, the free material is very useful and often more than enough to help you get started. Coin Telegraph is a large crypto news website which publishes a staggering amount of content each day, including breaking news stories shortly after they happen. It’s a great source for those with experience in cryptocurrency and is also available in numerous languages including English, Japanese, Serbian, Brazilian and Spanish. Coin Telegraph is also active on Twitter, so it’s worth signing up to the platform and following them to receive the latest news updates as they happen. Of course, there are plenty more cryptocurrency websites that can help you to keep informed. Even the mainstream news producers like Forbes and CNN cover crypto and these can be other great places to stay up to date. It is important, however, to sort the informative content from the spam and hopefully, this list has helped you to do just that.